But not all is completely lost here. Just the other day, a report came from Motor Trend claiming that Cadillac was gearing up to stuff the supercharged 6.2-liter LT4 V8 under the hood of the supposed ATS-V+. Obviously we were ecstatic by this, but now our hopes have been shot down. Motor Authority is now claiming that, in a conversation with Cadillac’s communications manager, David Caldwell, there are no such plans. "The ATS-V we have today is supremely capable – so much so that it’s unlikely to receive a larger, or different engine in the foreseeable future." 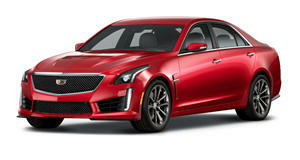 “As for V8 engines,” Caldwell explained, “Yes, we have another car coming that will take care of this beautifully, that being the CTS-V.” So why not two V8-powered high-performance models? Caldwell stated that "there’s no need for the two V product lines to be twins. Brothers, yes. Twins, no. This new era of V-Series gives us the chance to dial-in two types of performance character – both track capable, both premium. One is the Cadillac Twin Turbo. 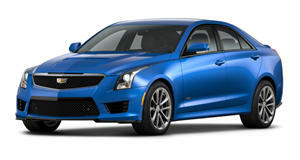 And its big brother coming later this summer with a supercharged V with authoritative power." So there you have it. It’s been said and supposedly, yet sadly, confirmed.